You are here: Home » 2018 Race for the Cure Honorees Announced! 2018 Race for the Cure Honorees Announced! 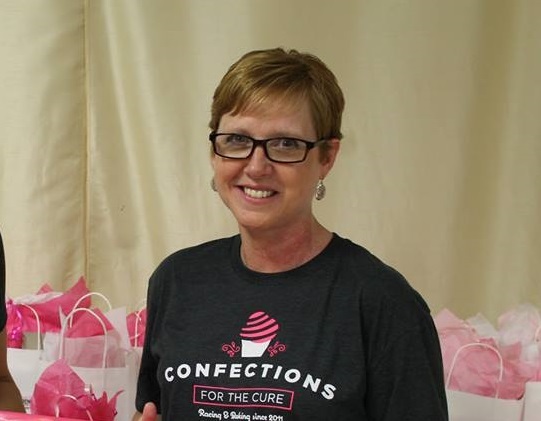 Each year Susan G. Komen Northwest Ohio re­cognizes four individuals from our 24-county service area at the Race for the Cure events in Findlay and Toledo. These “In Celebration of” and “In Memory of” honorees are people who have demonstrated courage, inspiration and positivity during their battle with breast cancer. 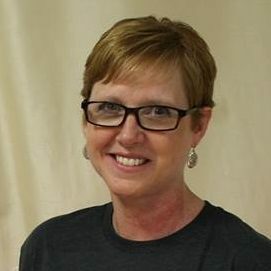 Sandy Franks is a seven-year breast cancer survivor, and she is a firecracker! Since her diagnosis, Sandy has been an advocate and role model for countless women who have battled breast cancer. Sandy has a strong faith and a genuine desire to help her community. She served on the Findlay Race for the Cure committee and just completed two years as Chair of the Findlay Race for the Cure. 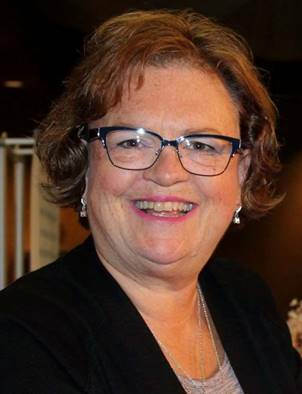 Sandy retired from Whirlpool in 2008 after 30 years as North American Director of Human Resources. She a past recipient of the nationally acclaimed ATHENA award. Sandy sat on the Habitat for Humanity board and lead Whirlpool’s first Women Build. Sandy considers Susan G. Komen Northwest Ohio’s ability to serve women and create a sisterhood an invaluable resource to her community. Sandy is married to her husband of 30 years, Gary, and has two daughters, Dionne Neubauer and Shauna Pessell. and two step-daughters, Penny Miller and Becky Wasson. She is also the proud grandma of six grandchildren and six step-grandchildren. Lucy C. Macias handled both her breast cancer, and subsequent pancreatic cancer two-and-a-half years later, with grace. According to her family, through it all she maintained her faith in God. In spite of her health struggles, she amazed her doctors by maintaining her quality of life until her death at 84. 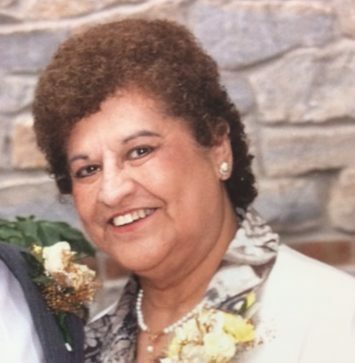 In her earlier years, she raised 7 children, but also volunteered and taught English as a second language to immigrants. She was a member of the funeral choir for masses at St. Wendelin Parish as well as a Eucharistic minister. Lucy participated in the Race for the Cure for more than 10 years. In the last few years, she cheered on the runners/walkers from the sidelines. 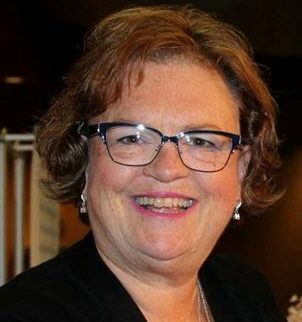 According to her family, Lucy will be remembered for having taught her family the art service. 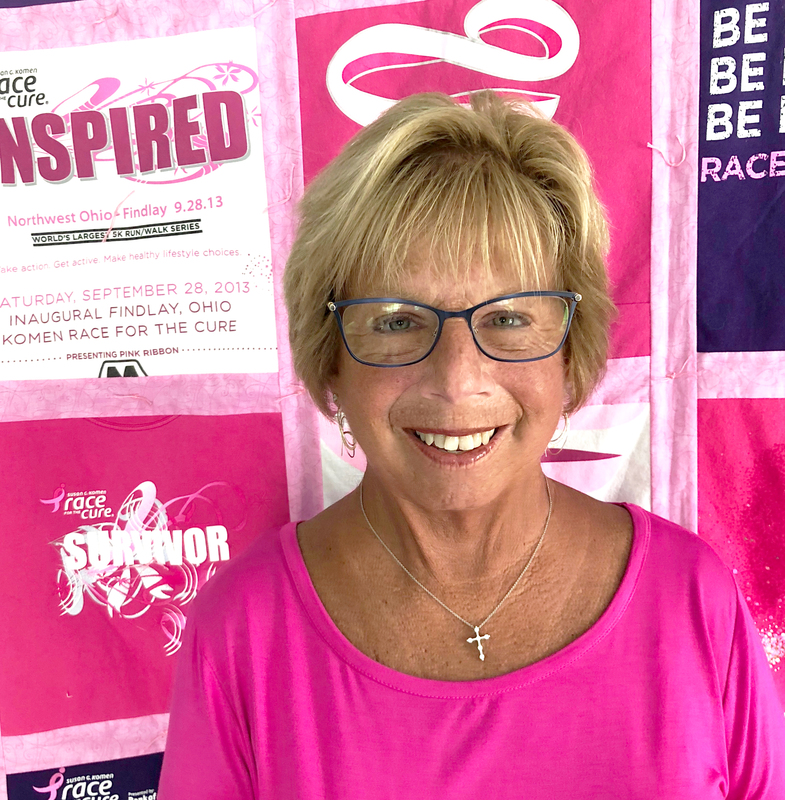 Her granddaughter interned at Komen one summer and her daughter, Veronica Burkhardt, is the co-chair of the Toledo Race for the Cure. The Findlay honorees and their families will be recognized on Saturday, September 29, 2019 before the start of the 6th Annual Susan G. Komen Race for the Cure in Findlay at the Blanchard Valley Health Campus in Findlay, Ohio. Rena utilizes her experience as a breast cancer survivor to provide information about breast cancer, self-exams, and treatment options to impoverished populations in rural Belize. She travels annually with Defiance Colleges’ McMaster teams. She is currently serving as the advisor to Defiance College’s student-run, non-profit project that will collaborate with Susan G. Komen Northwest Ohio. Rena and her husband, Russ, live in Paulding, Ohio. Rena has a daughter, Jessica Rager and a son, Andrew Rager. She is the proud grandma of Andrew’s daughter, Andi Lynn Rager. The Toledo honorees and their families will be recognized on Sunday, September 30, 2018 before the start of the 25th Annual Susan G. Komen Race for the Cure in Downtown Toledo. Susan G. Komen was founded by Nancy G. Brinker, who promised her sister, Susan G. Komen, that she would end the disease that claimed Suzy’s life. Komen is the world’s largest breast cancer organization, funding more breast cancer research than any other nonprofit outside of the United States Government, while providing real-time help to those facing the disease. Since its founding in 1982, Komen has funded more $3 billion in funding to research screening, education, treatment and psychosocial support programs serving millions of people in more than 30 countries worldwide. The Northwest Ohio Affiliate alone has invested more than $13 million in community breast cancer programs in 24 counties, and had contributed nearly $4 million to fund national breast cancer research. Visit www.komennwohio.org or call 1-877-604-CURE.